As healthy as they are delicious, blueberry muffins bake up light and fluffy and make for a portable breakfast or mid-morning snack. 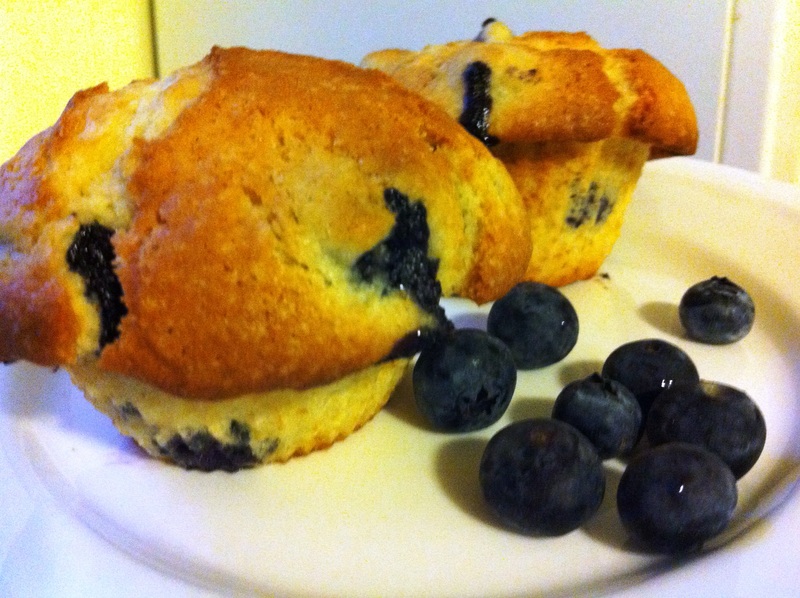 Packed full of antioxidants and other healthy nutrients, farm-fresh blueberries infuse these muffins with tons of delicious spring flavor. Tossing the blueberries with some flour keeps them from sinking to the bottom of the muffins as they bake. Sprinkling granulated sugar on the unbaked muffin tops adds a little extra crunch. Preheat the oven to 375°F. Generously butter a standard 12-cup muffin pan and dust with flour, tapping out excess; set aside. In a medium bowl, whisk together the flour, baking powder and salt. Working over the bowl, toss the blueberries in a fine sieve with about 1 1/2 teaspoons of the flour mixture to lightly coat; set aside the flour mixture and blueberries. In the bowl of an electric mixer fitted with the paddle attachment, beat the butter and sugar on medium-high speed until light and fluffy, about 3 minutes. Add the eggs, one at a time, beating until combined. Mix in the vanilla. With the mixer on low speed, add the reserved flour mixture, beating until just combined. Add milk, beating until just combined; do not overmix. Using a rubber spatula, fold in the blueberries. Divide the batter evenly among the prepared muffin cups. Bake, rotating the pan halfway through, until the muffins are golden brown and a cake tester inserted in the center of one muffin comes out clean, about 30 minutes. Transfer the pan to a wire rack to cool 10 minutes. Turn the muffins on their sides in their cups, and let cool. Serve warm or at room temperature.